Thirteen high-end sports car owners – and one driver of a Toyota Prius – were probably close to tears last night after a £2.5million motorway pile-up. Japan’s big three carmakers today reported a dramatic fall in production as the auto industry counts the cost of plummeting global demand. Toyota, the world’s biggest carmaker, said global production dropped 39.1% in January from a year earlier to 487,984 vehicles. Honda reported a fall of 33.5% worldwide to 226,551 vehicles and Nissan 54% to 145,286. 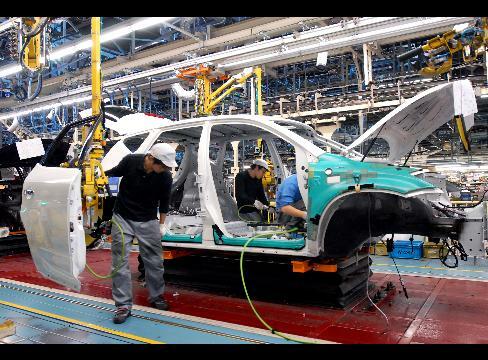 The global economic crisis has ravaged demand in major markets, forcing Japan’s carmakers to slash production and lay off thousands of workers. Feb. 9 (Bloomberg) — Nissan Motor Co., Japan’s third- largest automaker, said it will slash 20,000 jobs and post its first loss in nine years as the global recession cripples car demand and a stronger yen ravages the value of overseas earnings. The company expects a net loss of 265 billion yen ($2.91 billion) for the year ending March 31, compared with its October estimate of 160 billion yen in net income. It also scrapped its second-half dividend. Nissan’s sales in the U.S., its biggest market, plunged 31 percent in January as demand for Altima sedans and Xterra sport- utility vehicles dried up. 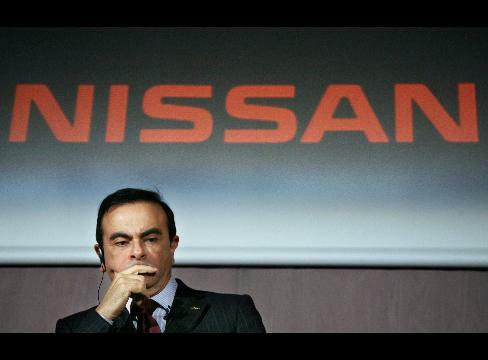 Chief Executive Officer Carlos Ghosn’s elimination of 9 percent of the workforce caps a month in which all of Japan’s carmakers slashed forecasts and Panasonic Corp. and NEC Corp. cut workers.